Thank you for your interest in the Center for Disability Rights (CDR) Annual Wheel-A-Thon to benefit young people with disabilities. The Wheel-A-Thon is a fundraising and community awareness campaign to benefit the youth programs and activities of the CDR and its partners. 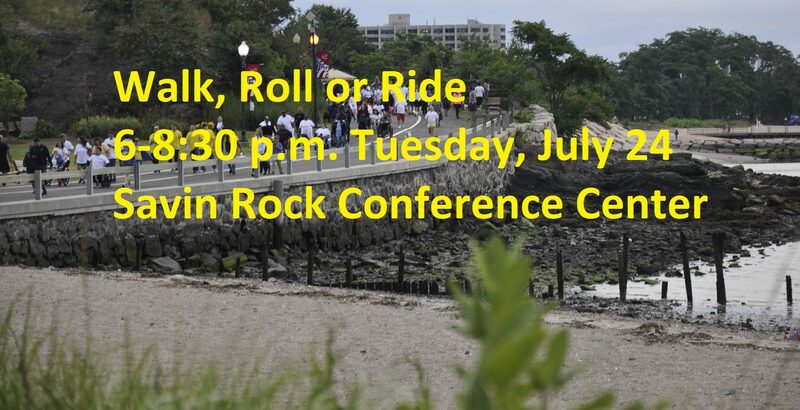 The 2018 Wheel-A-Thon took place from 6-8 p.m. Tuesday, July 24, at Savin Rock Conference Center, 5 Rock St., West Haven. There was live entertainment throughout. Visit our flickr page for photos of this year’s Wheel-A-Thon to Benefit Youth with Disabilities. When you participate in the Wheel-A-Thon you can walk, roll in a wheelchair or ride a bicycle along a 1-mile route. You can register and participate as an individual or you can form a team with your family, friends and co-workers. Visit us on Facebook or friend CDR on Facebook, and like Wheel-A-Thon on Facebook, too! Thank you. The money raised during the 2018 Wheel-A-Thon provided Summer Empowerment Camp opportunities to eight high school juniors and seniors and provided eight Wheel-A-Thon Scholarships. Individuals who are not part of a team but who raise at least $25 for young people with disabilities can participate in the CDR Wheel-A-Thon as individuals. The 1st Place Individual Fundraiser was Andrea Ryan. A Great Big ‘Thank You!’ to All of Our 2018 Corporate Sponsors!